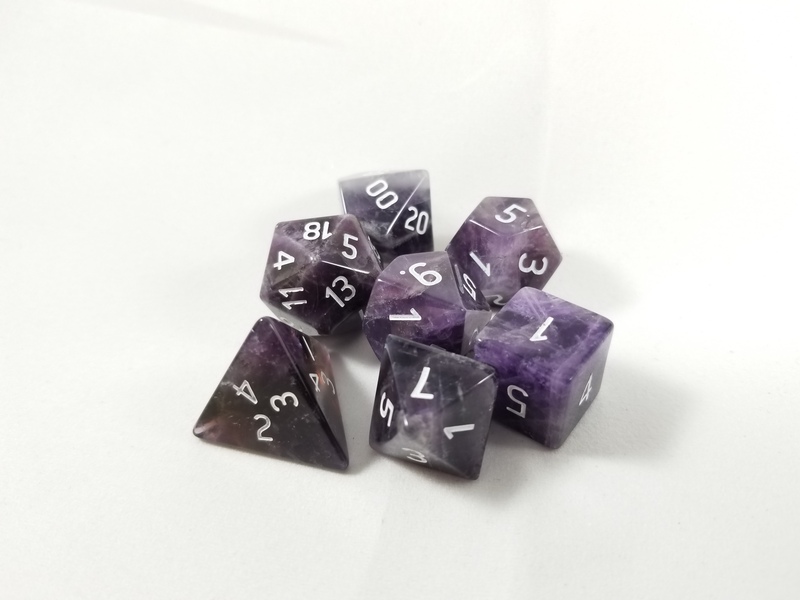 These are not merely named amethyst, but actually made from it! 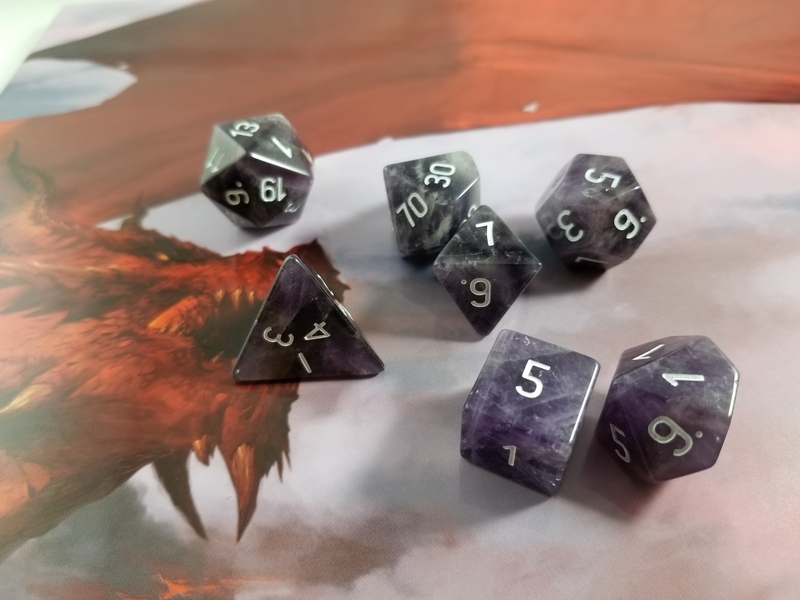 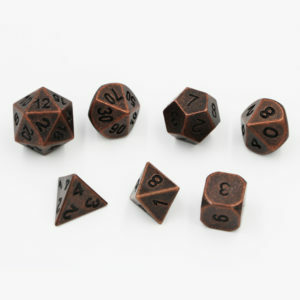 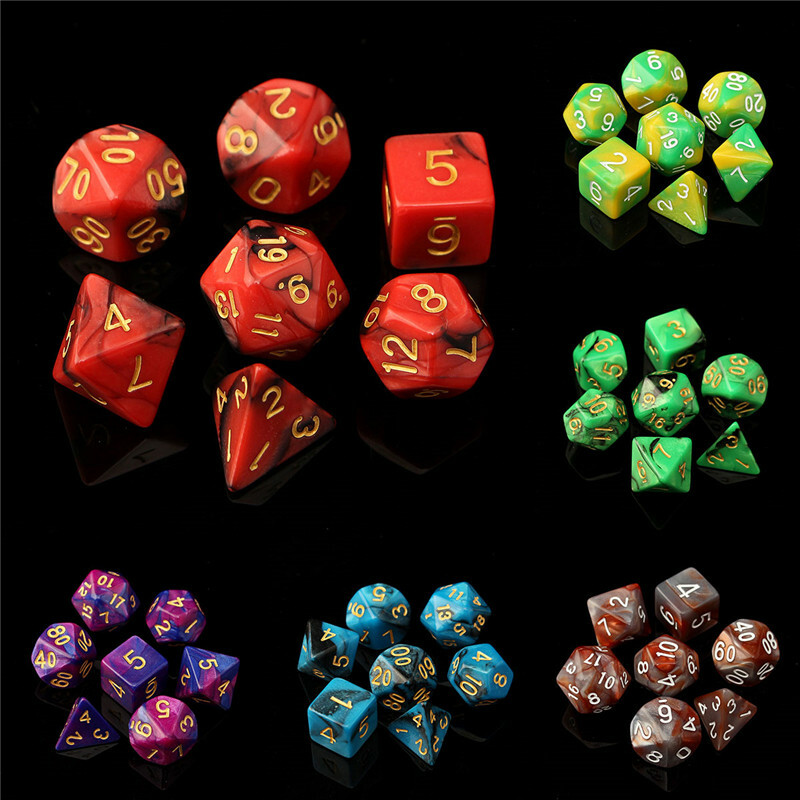 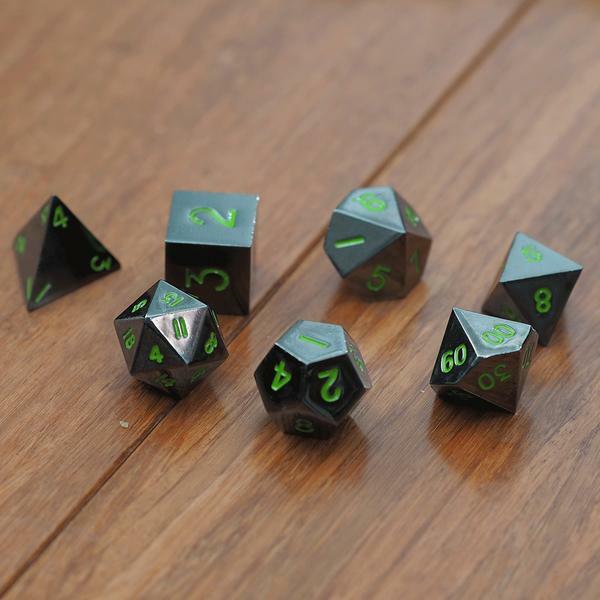 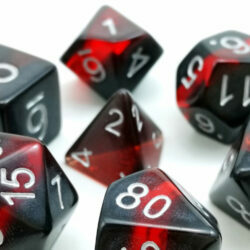 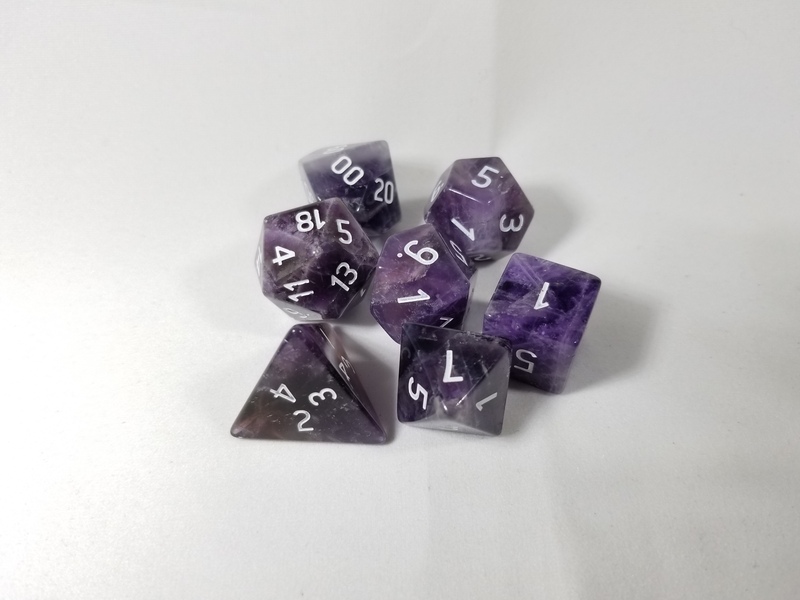 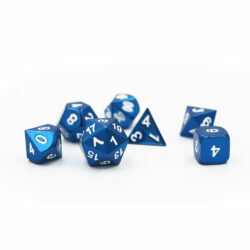 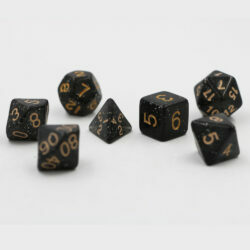 Amethyst is beautiful material and make equally gorgeous dice sets. 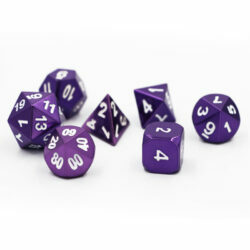 It has a very interesting color that con dramatically change based on what type of light you use.